Yesterday, the National Assembly formally requested the U.S. for urgent humanitarian aid, both in shipments of supplies and in financing. 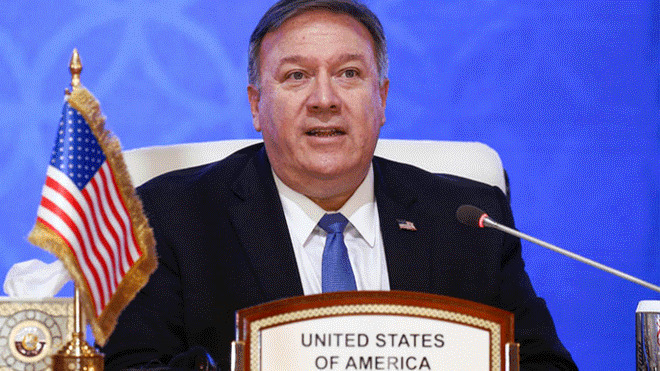 During the OAS Permanent Council meeting, U.S. Secretary of State Mike Pompeo announced $20 million in aid. While these words might seem promising and may indeed be necessary to fuel people’s hopes that Venezuela’s situation will improve, humanitarian aid isn’t a political trope, but a delicate and intricate matter. The money and supplies alone aren’t enough to provide proper response to the crisis; we need facilities and people to store, organize and distribute them. Gabaldón is less concerned about the political discourse, seeing it as a way to build up momentum for a swift regime change. “As long as this regime remains in power, our options are severely limited, so the priority is to seek an end to it, and in that regard, the political leadership must galvanize support both in the country and abroad,” adding that people also need a ray of light to focus on in the darkness, a better outlook for the future. As Venezuela’s situation grows even more uncertain, assurances that the country will overcome its avatars are indeed necessary to give people something to hope for. But the complex humanitarian crisis we’re experiencing is too delicate for wordplay and requesting and offering humanitarian emergency demands utmost care. Leaders must be mindful not to use this topic only as a political trope and strive to inform the citizens of its implications and intricacies. Hope is important, but false expectations and misinformation have done enough harm as it is. There are lives at stake. With fortune, Guaidó and the National Assembly will prove that they know what they’re doing, and this tragic catastrophe will finally be put to rest. Next articleAs the Crisis Deepens, How Can the Diaspora Venezuelans Help?